This is the shocking moment repair workers narrowly avoid being crushed by a giant clock face as it plummets to the ground. 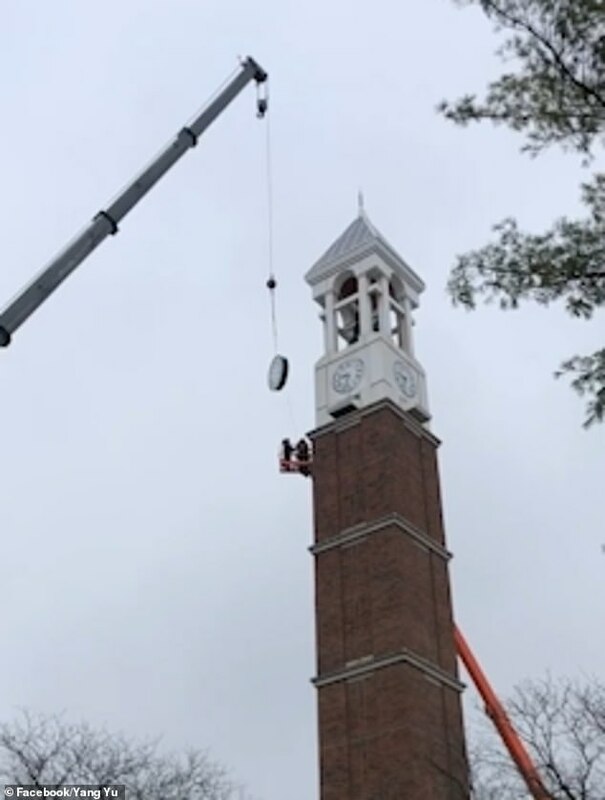 The maintenance workers had been conducting repairs on the 160-foot clock tower at Purdue University in West Lafayette, Indiana, when the the clock face suddenly detached from the crane above them. 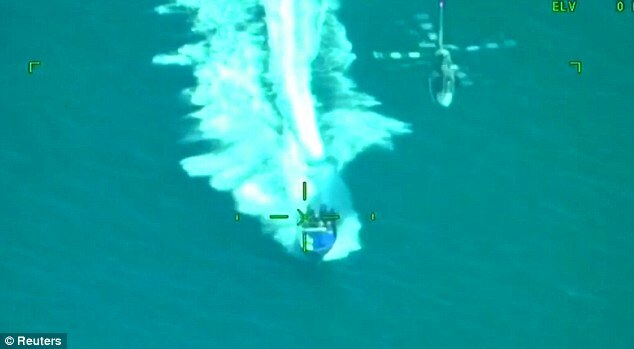 As it comes crashing to the ground, the workers, who are directly underneath the hanging object, are seen making a narrow miss and escaping unscathed. 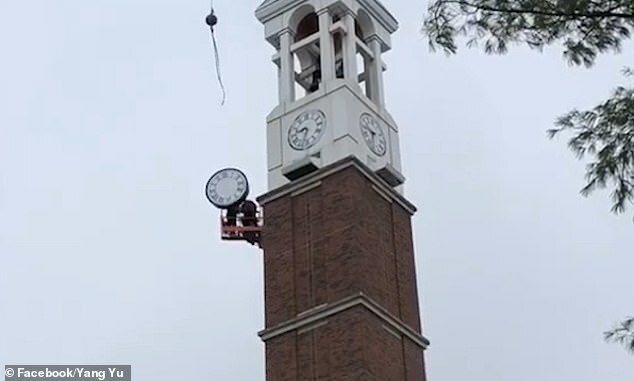 In the video, the clock face appears to bounce off the cherry picker lift that the two workers are stood inside before knocking the side of the bell tower. 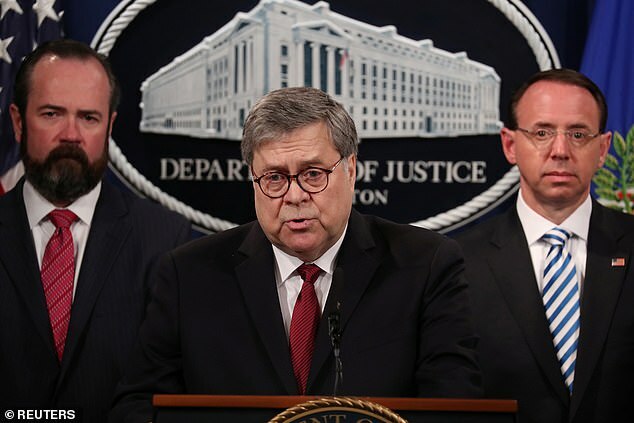 As it hits the side of the tower pieces of the clock appear to shatter before the entire object comes crashing to the ground. 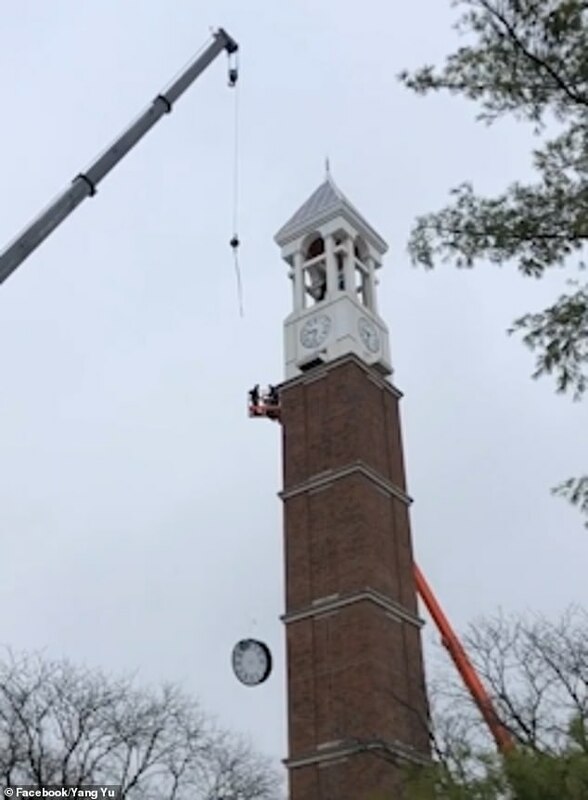 According to the Journal & Courier the contractors working on the bell tower, Verdin Clock Company, said no one was injured and they are reviewing the incident. 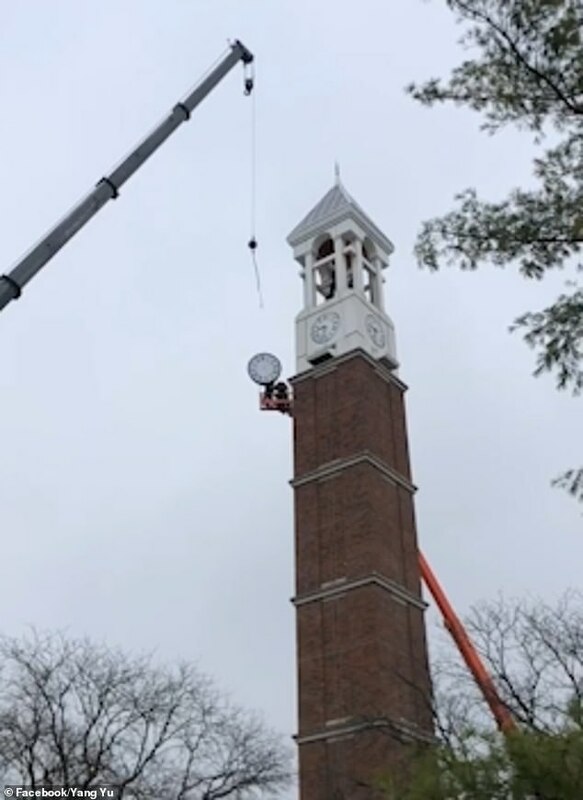 On Twitter WLFI reporter Trevor Peters released a statement by The Verdin Company which read: ‘We want to express our sincerest apology to Purdue University regarding the damage to their clock. A video of the incident was later posted on Facebook by Yang Yu and has already gathered more than 300,00 views.